Buy More Printed Cellophane Rolls Save More! 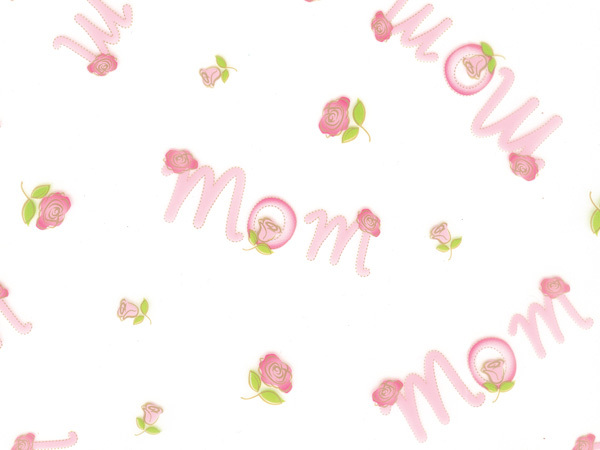 30"x100' Mom Cello Rolls features pink script "Mom" text with floral accents on clear cello. Made in the USA. We have cello rolls printed with designs for every gift packaging occasion. They are made from 1.0 mil ultra clear polypropylene. Available in 3 sizes: 24"x100', 30"x100' and 40"x100'. Top Quality. USA made- not an inferior import! Complies with FDA regulations for food packaging. Note: All prints are on clear film, backgrounds of images are dark or light to better show the design.